I love cute and easy Christmas ideas as much as I love cute cupcake liners. 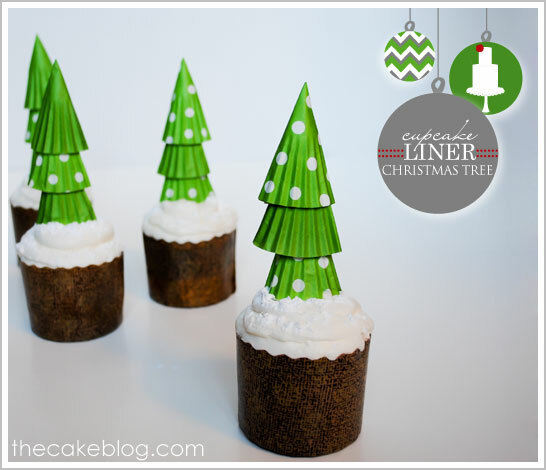 These cupcake liner Christmas tree cupcakes are the prefect combination of both! I loved these large cupcake wrapper Christmas trees from The 36th Avenue. They make a great inexpensive Christmas topiary. 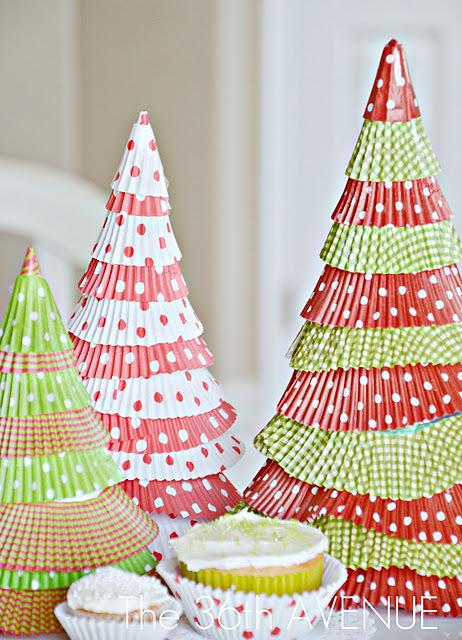 And those fun cupcake liner Christmas trees make fun cupcake toppers too. So simple to put together and who doesn't love a festive cupcake. 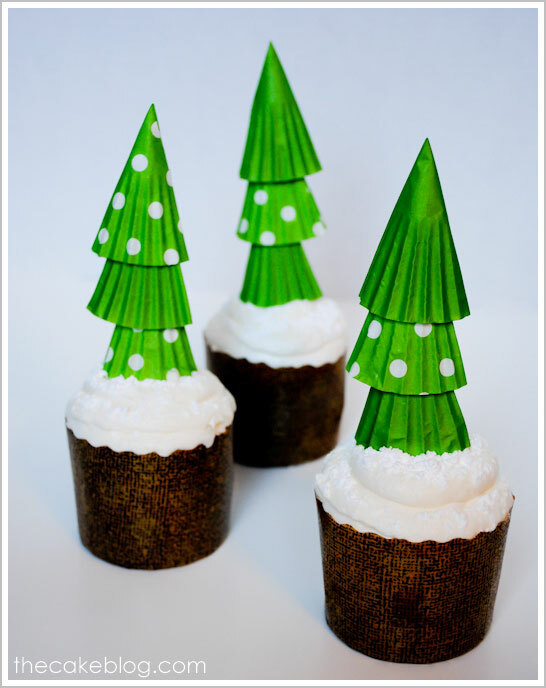 You can see a tutorial on how to make cupcake liner Christmas trees for your cupcakes over at The Cake Blog.